Navratri 2016 is well under way already, having started last Saturday – the first of the month. This has usually been a special holiday for me because of my affinity for Durga, whose presence and effect I can intuit at times. I was explaining to a friend that the Navratri holiday we’re in the middle of currently is much like my favorite holiday of the year – Ganesha Chaturthi in that special emphasis and fervor are given to a god idea for a little over a week and then an image of that idea is immersed and dissolved. Such symbolism and meaning! A huge difference between Ganesha Chaturthi and this Navratri is that each day / night of the holiday focuses on a different face of Durga, who is understood to be a version of the Holy Mother of us all. For reference I’ll include a link to information so that you can inform yourself about the differences each day of this Navratri. It’ll also give you a digest version of the holiday in general. The link above is to a site I don’t ever visit. It’s Baba Rampuri’s site (or one of them) and if I’m not mistaken (I may well be, there are a number of Babas out there) I’m pretty sure he was quoted in an article a year or so ago saying that yoga could “cure” gayness which is the biggest crock I’ve heard. Obviously, there’s nothing to cure where gayness is concerned and if there was, I feel it would still be an abuse of sorts to “sell” yoga as such a cure. But that’s neither here nor there and has nothing to do with the current holiday. There was also an article on Speaking Tree about the holiday this year that I wanted to share… HERE. To summarize, see below. Durga has five vahanas / vehicles, which she chooses for her arrival and departure very year at Navratri. These include lion, elephant, horse, boat, and palanquin. For 2016, she has chosen the vahan of horse, which is a sign of danger for humanity. This is the case because usually she arrives and departs on different vahanas, but this year is making the arrival and departure on the same vahan, the horse. Thus the meaning of doomsday for humanity, as well as general upheaval, natural disasters, wars, social unrest, . In the link above, pics #7, #8, #9, and #10 all detail briefly what meaning the vahanas carry. Another bad sign for Navratri 2016 is that, while the holiday is – by definition – nine days / nights long, this year the holiday is actually ten days / nights long. Dusshera falls on the 11th day, which is another bad omen. Another level of inauspicious-ness is that she will be arriving and departing on a Saturday / Tuesday and this signifies the occurrence of war or tension among nations. When I briefly mentioned this to another friend, he asked if her horse is a white horse and I knew immediately that his question is somewhat suggestive of Kalki’s arrival, too. I’d not be surprised if she IS said to arrive on a white horse. But I can tell you, I don’t put much stock in doomsday stuff. too many times humans have thought they knew were able to predict The End and when it would arrive. And – without exception – they were wrong, obviously, else I’d not be writing now and you’d not be reading now. Still, so much of modernity is playing catch up to Hindu wisdom – especially where science and spirituality bump up against each other. I don’t think The End is near, but I’d not at all be surprised if a series of major disasters (of various types) is headed for planet Earth. And, after all, Trump is running for the highest office in the most powerful nation in the world. What better setup could there be for the entire globe to go up in flames and then to spin off its axis and fly right into our sun? Daaji was offering a different perspective to the society on festivals, culture and the rituals that people observe. Some of the conversation centred around the article on Lord Ganesha, which was very well received across media channels. 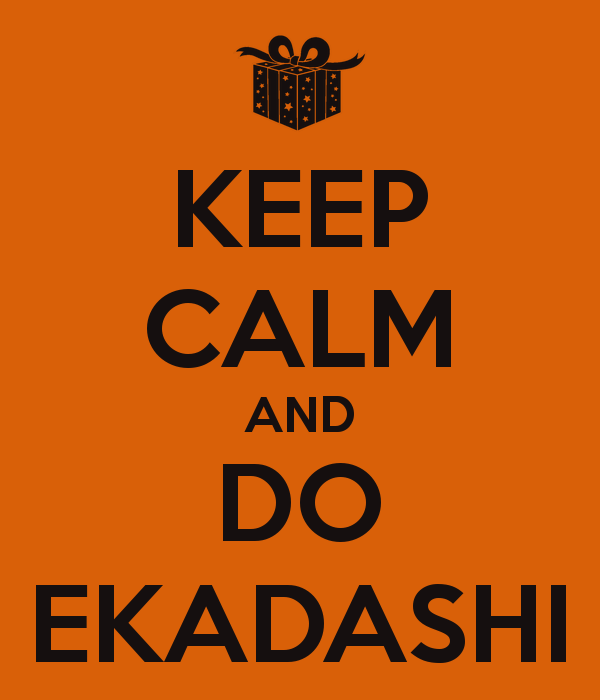 Q: There are days like Ekadashi. Do they have a special significance? Daaji: Yes! Ekadashi days have a very special significance for health. They were connected with religion for the sole purpose of health and well-being. Had this not been associated with religion, common people would not have followed such dictums. It is good to moderate the intake of food on these days. It is to counter the impact of the moon on the human body. Our body is about 60-70% water. You can see the impact of the moon on water in the oceans. It is significant. On full moon nights there are tides rising up to 20 feet, maybe even 30 feet. Similarly, the moon has an impact on the human system also. Especially during the full moon, records show that criminal activity is higher than usual. The term ‘lunatic’ comes from the lunar effect on the human nervous system. Our sages must have observed this. From the 8th day of the lunar cycle, the effect starts growing and reaches its peak on the 15thday. Midway between these two is the 11th day, Ekadashi. If you moderate your intake on that day, you will neutralize the lunar impact on your system. We have laid the foundation for Heartfulness sufficiently so as to approach Sahaj Marg in a gradual and progressively deeper manner when it comes to the introduction of multitudes. We now need to execute well and build a good edifice. There is a need to make sure that there is less noise in the system and it is everyone’s responsibility to work quietly and together in true harmony. The places we are serving, via U-Connect or C-Connect or any other Connect initiatives, now need to be consolidated. Let us revisit our efforts and see how to make them more effective. Let us take stock of our actions and inactions. Let us find out what has worked and what has not. Based on this, let us re-group, re-orient and double up the number of volunteers within the organizations we have been catering to, by identifying key seekers from within such organizations who can co-ordinate with us. Pay special attention to such individuals via interactions and special sittings. As volunteers, we must become extra vigilant with our practice and style of communication. Let our mutual interactions amongst us become an example. Many organizations are so appreciative of our teamwork and the dedication of volunteers. I am sure the Great Master who says that all is counted in the ledger of Nature must be making a special note of sincere efforts in taking the Sahaj Marg Spirituality Movement to the next level. Let us further fine-tune our efforts and deliver with greater efficiency. Let us resolve once again to deliver better than ever before. With prayers to our beloved Master for His love and blessings.